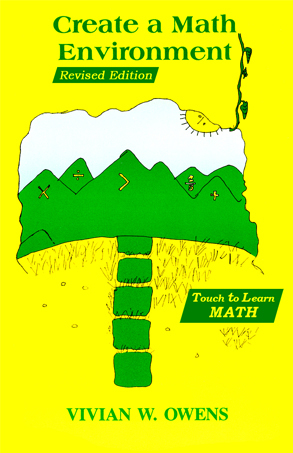 CREATE A MATH ENVIRONMENT: Revised Edition belongs in every parent’s hands. This parent-helper book shows age specific lessons that you can use in a short period of time. Hands-on lessons invite learners to “touch math” in a fun, easy way. When busy parents want to help their children understand math concepts, it becomes a real confidence builder for all. 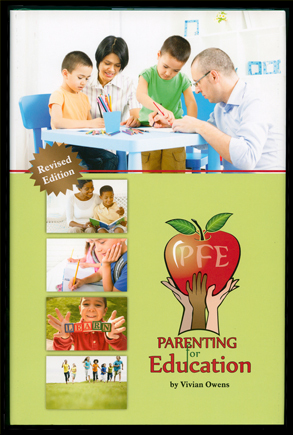 Parenting for Education: Revised Edition (PFE) invites parents to think about learning goals for home use which may improve children’s academic performance. Written in easy-to-understand language, PFEcontains around seventy-seven concepts. Each concept is presented as a separate article. Through these articles parents learn how to recognize a disorganized child, but they also learn how to organize the disorganized child. Practical guidelines demonstrate activities to help familiesstart learners on the right track in writing, reading, reasoning, and analyzing. A motivational, encouraging, and nurture-driven resource for parents of children aged 0-12 and older.